So, What Are My Choices? If approached with the idea of scrapping their WLANs and buying cellular data plans for all of their mobile devices (including data cards for all the laptops), most of my clients would tell the carriers to take a walk. However, there are some mitigating circumstances. While Wi-Fi has proved it can take care of our mobile data users, we still need cellular voice coverage. We can set up a smartphone to use VoLTE over Wi-Fi, but the device’s default choice for voice is cellular. The option for voice calls is selectable in some Android models, but iPhones still dominate in the enterprise. We still need cellular voice capability, and we’ll likely need something from the cellular carriers to boost the signal for cellular voice, regardless of what we’re doing with the data traffic. All the indoor small cell solutions being described for large-scale deployment look at carrying all voice and data. Delusions of grandeur, I suspect. For the data requirement, I do have some clients suffering from Wi-Fi fatigue and they might be interested in a cellular data option. The primary cause of that fatigue is the never-ending Wi-Fi upgrade cycle. I have clients that go absolutely apoplectic when I inform them there’s yet another Wi-Fi upgrade on the way, as they know what kind of budget they’ll have to come up with for replacement APs. The tough part is that as newer versions of Wi-Fi become available (e.g. 802.11ax), we can’t string users along with mediocre Wi-Fi -- they’ll have the upgraded versions on their home networks (an unchallenging $100 investment) and their latest smartphones will always have the newest Wi-Fi capability. In this new consumer-driven world, users hold IT to the standard of delivering a service that matches the performance they have at home -- despite the fact it might cost many millions to pull that off. With a traditional DAS to support cellular voice users and a Wi-Fi network for mobile data traffic, IT departments were pretty much free to ignore wireless, but that may have to change. Of course, I still have clients that entrust cellular decisions to the Purchasing Department; I wonder how they’re going to fare in this new environment. Some businesses faced with Wi-Fi’s “can’t live with it, can’t live without it” scenario are starting to pursue the approach hotels and small businesses have used for years… i.e., they’re outsourcing their Wi-Fi infrastructure. Cellular operators like AT&T and Sprint offer managed Wi-Fi services, providing yet another option to outsource your Wi-Fi infrastructure. For now, most businesses have accepted the status quo of privately owned and operated Wi-Fi as an ongoing annoyance, and continue to pay the piper. We still hear the occasional dream of an all-wireless environment, but that wished for panacea continues to stay at least one generation ahead of wherever we are in the technology development. 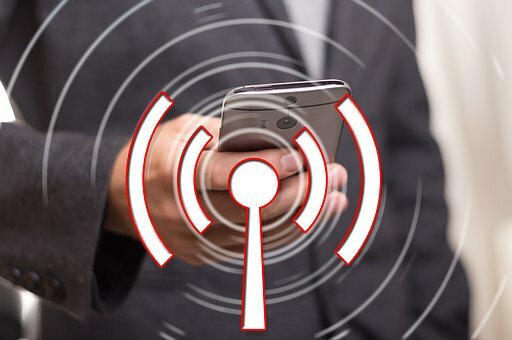 Many enterprise users are simply looking for a cellular solution that effectively addresses voice requirements while they continue to maintain and upgrade Wi-Fi infrastructure. However, what we really need from the carriers are more choices, and those choices will have to be presented clearly and intelligently. For enterprise buyers, the clear message is that the wireless landscape is undergoing a monumental shift with the introduction of 5G, and IT departments are going to have to sharpen their understanding of what’s going on in cellular as they plot how they’ll continue to offer the mobile services their users demand. Knowledge is power. To learn about more of the subtleties involved in this transition, join me at Enterprise Connect 2019, taking place the week of March 18 in Orlando, Fla., where I’ll be leading the session, “What You’ll Wish You Knew About 5G,” on Thursday, March 21, at 9:00 a.m.